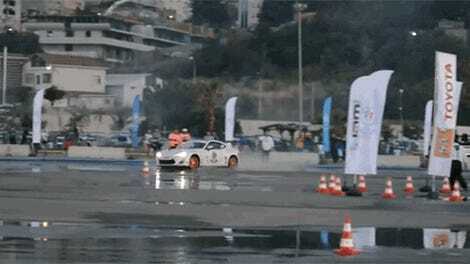 Once upon a time, BMW set a Guinness World Record for longest drift. Toyota then beat it twice in three years. So, because bragging rights are very serious in the car world, BMW decided to shatter both records without the modifications allowed to make the drift go more smoothly. That required some creativity. Typically, car companies put add-on gas tanks into cars attempting this drift record so that they don’t run out and ruin hours and hours of work. But BMW driving instructor Matt Mullins thought that was be boring, so BMW found a way to fill the drift car’s gas tank while it was still in motion for this attempt. Yes, that is correct. BMW spent a lot of time and energy to develop a method and a wacky device to fill an M5 with nearly 20 gallons of fuel in less than a minute—all while maintaining an hours-long drift—just to say “Ha, gotcha this time!” in a prolonged spitting contest that means nothing in the bigger picture. But hey, whatever, it makes for decent YouTube videos. For a little bit of backstory on what driving instructor Johan Schwartz is talking about in the video, he set a record for world’s longest drift in 2013 while driving an M5. The drift went for 51.3 miles on a wet skidpad, and it wasn’t known at the time how long it took for Schwartz to pull it off. Toyota came along about a year later with a GT86, beating Schwartz’s record by a mile (or, actually, about 40). Drifter Harald Müller went for more than 89.5 miles in 2014, spending two hours and 25 minutes sideways on a wet circuit. But why stop there when you can find some other poor, over-ambitious soul to spend hours in a continuous drift while probably having to pee? Toyota found journalist Jesse Adams in 2017 and got him into a Toyota 86, where he spent almost six hours to reach 102.5 miles of drifting. And here we are a few months later, with Schwartz hopping into another M5 for even longer than that. 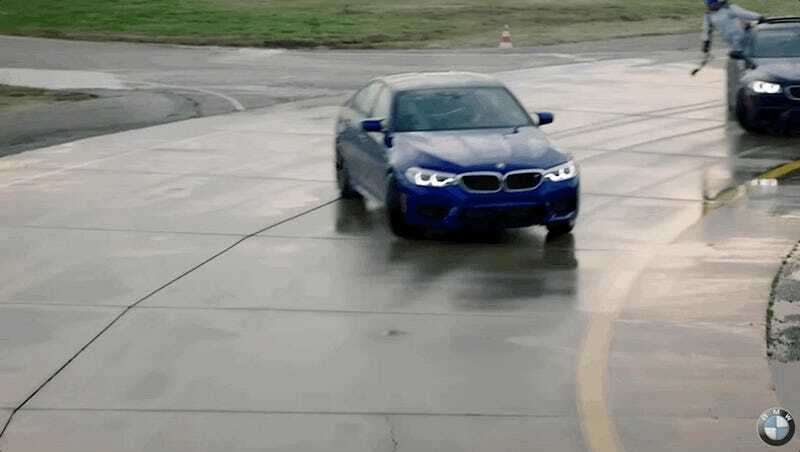 Although the video doesn’t give many details other than the eight-hour figure, it seems like BMW pretty confidently beat the old world record. It’ll probably last a year before some automaker wastes a bunch of research and development figuring out how to teleport gas into the tank of the next world-record drift car—from across the ocean, of course.